The gifts and pledge payments received from our generous donors are disbursed quarterly per the allocation plan established in December 2014. As of March 31, 2018, more than $15,800,000 has been distributed impacting all six areas of need. More than $4 million has been returned to parishes in support of their own local needs including capital improvements, debt reduction and other integral parish projects outlined at the beginning of the campaign. We are grateful for the personal sacrifice and commitment you have made to help fund our strategic initiatives. 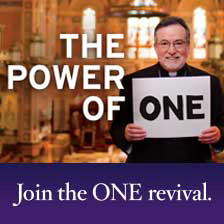 On behalf of Bishop Soto, thank you for your ongoing support of The ONE Campaign.